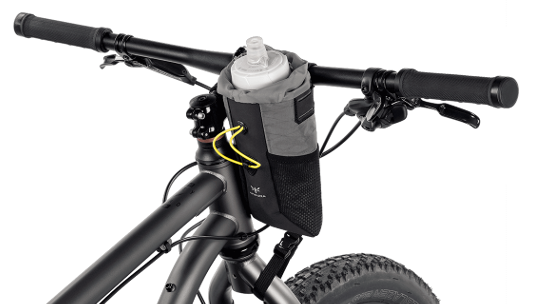 The Food Pouch Plus is an easy-to-access home for anything you’d like to keep close at hand while riding – such as food, a water bottle, camera, sunglasses, and packable layers. 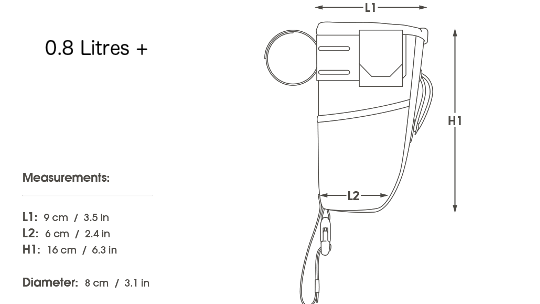 This is an enhanced design of the original Apidura Food Pouch (Extended). Upgrades include a metallic mesh drainage hole on its base, as well as mesh side pockets that are the perfect home for bars, gels, and empty wrappers. 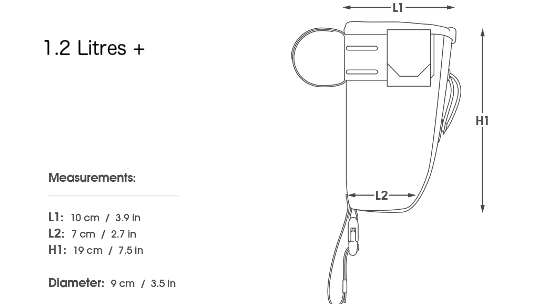 This version is 3cm taller than the Backcountry Food Pouch Plus (0.8L+). 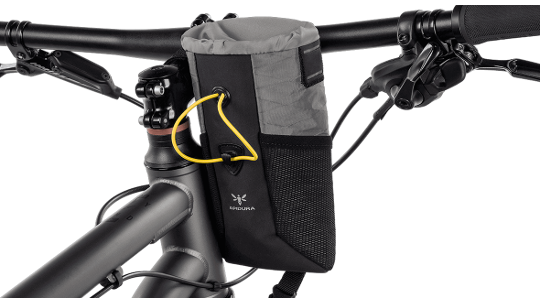 Contents are held in place by a simple bungee cord closure that can be tightened with one hand, and its nylon straps can be attached to various sides of the pouch, making it suitable for many different combinations of handlebars and stems.